the building which houses the present museum was built in 1670 AD by Nayak Queen Rani. The museum houses Special Exhibition Section which depicts the Freedom Struggle with 265 illustrations, Picture Gallery which represents Gandhiji’s visual biography, Hall of Relics which protects some personal belongings of Mahatma Gandhi, library which has vast details of India’s cultural and historical background and an open air theatre which can accommodate about 8,000 people. Thirumalai Nayak Palace: 2 km from the Meenakshi Amman Temple, Thirumalai Nayak Palace built by Thirumalai Nayak in 1636 AD in Indo-Saracenic style of architecture is another major attraction of Madurai city. The most amazing thing about this palace is its audience hall which dome rises to an elevation of 20 meters without any support. Samanar Hill: Home to the Caves belonging to 1 AD that were used by the Samanar (Jains), Samanar Hill placed at an expanse of 10 km from the Meenakshi Amman Temple is another place of interest for tourist in Madurai city. One can also view the natural fountain known as ‘Pechchi Pallam’. 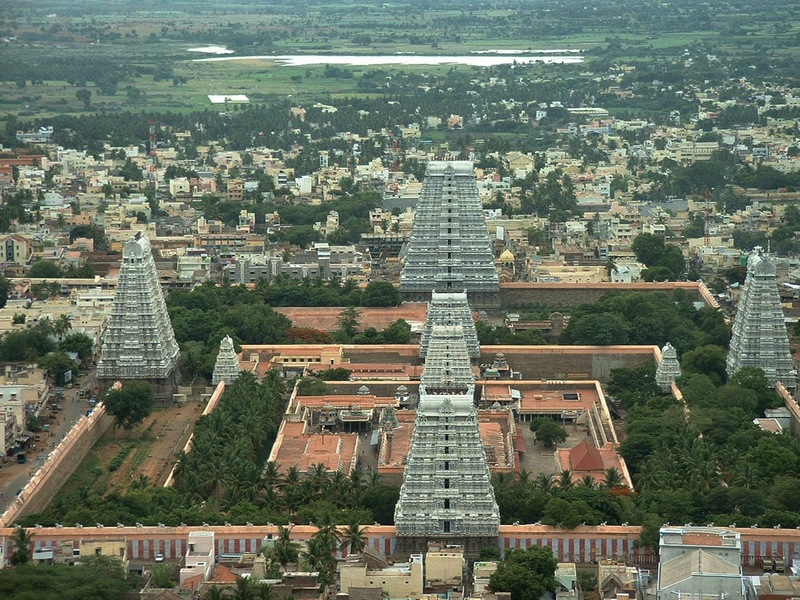 The top of this hill offers a breath taking view of the Madurai city. This is the place to be for those looking to spend some time away from the city in solitude and peace. The city of Madurai is an example of cultural diversity with people from all walks of live residing all over this city in a harmonious way. Hindu is the major religion with significant number of Muslims, Jains and Christians. Tamil is the major language which is spoken in this part of Tamil Nadu in its purest form. Other languages include Telugu, Malayalam and English. Textile is the main commercial activities of Madurai with some of the textile industry still using the ancient form of weaving. The city is famed for its number of festivities which is participated by all the residents to transform it into a grand success. Pongal, Chithirai festival and the Float Festival are the major festivals of this city. The vegetarian cuisine of Madurai comprises of idly, dosa, sambar and pongal while the non vegetarian cuisines consists of chicken kuzhambu, mutton varuval and chicken saalna etc. Paruthi and filter coffee are some of the popular drinks. Accommodation: Being one of the important commercial towns of South India, Madurai boasts number of hotels ranging from luxurious, mid range to a budget hotel. Heritage Madurai, Hotel International and the Madurai Residency are some of the hotels that you can choose to stay while in Madurai. Best time to Visit: The best time to visit this city is from the month of October to March when the climatic conditions of this place remains at its best. December to February (18-30 degree Celsius) is the winter season of Madurai with September to November being the monsoon period and March to June being the summer season when temperatures can rises up to 38 degree Celsius.